Managed Workplace is suitable for manage service providers (MSPs) who provide security and network management services for SMBs. 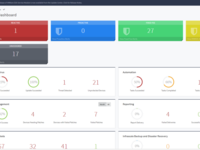 With Managed Workplace, IT service providers can quickly assess vulnerabilities, secure weak points, monitor anomalies, and seamlessly recover data in the event of an attack, all from a single dashboard. 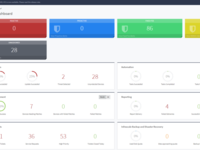 Managed Workplace brings a cost-effective, easy-to- use, multi-tenant security lens to remote monitoring and management, enabling MSPs to grow their business, differentiate their services, and build customer loyalty. Avast Business Managed Workplace Reviews Recently Reviewed! This software has allowed us to extend our reach and serve more clients, more efficiently. Pros: All clients are under a single pane of glass. We can run a custom script on all endpoints, a group of endpoints, all endpoints for a single client or even a single endpoint. After a couple of minutes, we can go back to the calendar to confirm the process has been successful. The calendar will list the succeeded and failed endpoints, along with those that are still pending. We can directly access the endpoint from the calendar for further support, without clicking through a bunch of menus. It is also very easy to rerun the automation by simple a right click and selecting how and when to run it again. Cons: The Windows patching used the built-in functionality of Microsoft WSUS. It works, but not quite as smooth as we would like. I have seen other competitors with some better functionality. Still, once a person gets used to the quirks, it is a great way to stay on top of patching the entire fleet of clients. It also has the advantage of listing the patches under the same categories as Microsoft. Also good for controlling Windows 10 machines from upgrading to an unwanted creators edition without approval. Overall: This software allows up to serve our client much more efficiently and effectively. It has actually reduced our cost significantly by reducing on-site visits but still allowing us to proactively keep the client up and running. Lower cost, increased billing from an increased client base sounds like a good combination. Well worth the monthly investment. Pros: It works fantastic. 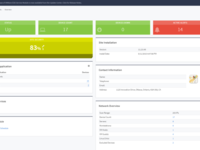 NOC, Network management tools, Help Desk, and Anti-Virus all rolled into one platform? Great. Fairly easy to onboard, easy to manage, and most everything is fairly well documented. We've been with them since they were Level Platforms and we've always had good luck with all of the tools. Cons: Level Platforms bought by AVG bought by Avast. Each time we get a new owner of the product I feel less valued as a long time (10+ years) partner. Level Platforms we had a great account manager, good contacts for specific issues outside AM control, and well explained billing. AVG era we had a good account manager, depreciated contacts for everything and billing started to get fuzzy since they restructured some of the plans. Avast we have a strung out AM who was a regional manager over a lot of account managers before I think, he's our only real contact, and we are being billed seemingly at random. I hate to switch to anything else since the product has to be in the top 3 or 5 for value that we've evaluated but the management since Avast took over is killing us. Great tool for starting our MSP business! Pros: The biggest benefit we loved about this software was it's ease of use compared to other RMM platforms. We started our MSP business with mostly IT staff who had never used an RMM before and they were able to dive right in and use it quickly with little training. We also love the automation and specifically that we can automate a script to run on any alert. We also like that we can automate the install of desires software/tools or uninstall of undesired software which saves technician time. Cons: No two factor authentication. This is very powerful software and this needs to be added ASAP! There is some integration with our PSA tool (ConnectWise) but none with our billing agreements which is time consuming to manually update all of the device/user counts every month. Overall: This allows us to keep a leaner IT staff as this product performs tasks our techs used to do manually. This allows us to be more efficient as a company and more responsive to client support requests. We've had a very positive experience. Bottom line, this product makes our business more profitable. Pros: What I like most about this software is the ease in setting up a new client network, as well as the many integration points with other important MSP software. I've used several RMM products and they all have their quirks, customizations and learning curves. This is among the best I've used. We also like that Avast Antivirus and Antimalware is bundled in with the product. Cons: I wish it was easier to customize reports, and I wish there was a dedicated self guided training/learning/certification program for this product. Overall: This software makes our business more profitable by allowing technicians to quickly eliminate problems and service tickets. Thanks for the review Jonathan. I have sent your comments around report customization to our development team. The good news is we have a training and certification program available. I have contacted your account manager who will reach out shortly to make sure you have access to the training. Pros: I like the flexibility and breadth of capability within Managed Workplace. It goes beyond just monitoring and alerting. 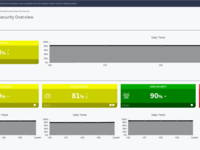 The integrated security products and dashboards provide deeper insights into our customer environments. The ability to integrate directly to our ITSM suite allows us to streamline workflow. Features like automation, patching in conjunction with the reporting make this the best tool for our needs and the need of our customers. Cons: The UI is a little dated and could stand to be overhauled. The basic layout has not changed in the 10+ yrs we have utilized the platform. The RMM tool you should be using. Pros: The ease of use. Everything is pretty straight forward and easy to find. Things are placed logically. Since the addition of security monitoring/assessment features, the value of the software has increased tremendously above just an RMM tool. It now assists with the client's level of understanding of the services we provide plus helps develop new sales opportunities. Cons: Patch management is very good but lacks a very clear patch testing methodology. One can be implemented with the software but it's not a native things. Avast MW is working on considering these features in a future release. Overall, the RMM is decent. It lacks several features that I think are very important. Pros: Many of the built in groups are helpful. Policies are easy to modify and apply to devices. Device Manager helps to get accurate inventory. Cons: No Mac Device Manager or Linux client. Pushing Device Manager from the Onsite Manager routinely fails. Most of the canned reports are severely limited in what can be edited or added. Creating new reports is difficult and, like the canned reports, are severely limited. Running reports regularly fails. Accessing the Service Center is hit or miss most of the time. Customer Service response times could be improved significantly. Also, when Customer Service does reply, the initial response is usually very basic and something that I clearly indicated I had already tried. Overall: Mainly ability to get inventory of devices. Pros: Monitoring Capabilities, Auto Grouping, Automation, Agentless Architecture. Been using the software since 2005 so we have had a lot of time to refine it. Cons: Would like to see more data export options and customized views. We use the on premise version so we do a good amount of SQL mining so we can work around it. Pros: I like that forces us to make good decisions when using company software. It doesn't slow down our systems like similar products and is user friendly. Cons: It is a little pricy and maybe more than some people are willing to spend but it is worth the extra money in my opinion. Overall: It keeps computer software secure and I love the fast speed that it operates. Pros: Easy to use dashboard. Nice alerts. Nice bulk pricing. Cons: Not as easy to join machines in mass. We install the client via thumb drive. Not too bad, but not as slick as other brands. Overall: So far so good. We are on two years no with no major issues. Pros: The setup was fairly straightforward, initially their support was helpful with that part during the original onboarding. Cons: Their support is painful, the tool is not customizable, the integration with antivirus was painful at best, it relies on making changes to group policies on the domain for it to work which did not always work. Pros: avast is an antivirus that is easy to use. Cons: avast is very effective it ensures the security of my pc. Overall: avast is very efficient.it always protect my computer .the most important aspect is that it easily removes viruses.